Race Day – What to Do? You have prepared a lot for this. . .well, you tried. Ready or not, I am sure that you will bravely stand in the starting line. I know full well and I understand your intent. We all know that in this long distance race, the minimum pace is a very slow average of 11 minutes per kilometer. Except – that it’s your first time and you have not gone running and walking more than 102 kms. Regardless of who I am, and what you have there, allow me to share some important keys to conquering this much distance. Do not be so overconfident. Just be confident that you will finish this race no matter what. Along with that line comes enduring everything painful and hard – the heat, the hunger, the sleepiness and all kinds of pain from your feet up to your shoulder. Maintain your average pace at nothing slower than what is required. That means keeping it at a worst 10 minutes per kilometer running or jogging or walking is good enough to take you alive and smiling at the finish line. The buckle is your goal, on top of the finish line. Finishing alone is not enough to earn you a buckle. You MUST finish within the cut-off. A minute or seconds before the required time is good enough. A minute or seconds after could also be bad. Early prevention is crucial. Change socks or shoes as fast as you can the moment you feel hotspots. And slow down a bit for a while until your feet adjusts. You know this already – and it’s been said for a million times already. 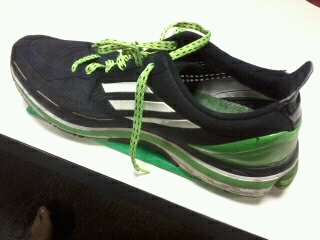 DONT TRY ANYTHING NEW ON RACE DAY! If you have a veteran in your crew – that’s your bonus. They’re supposed to know when to slow you down and when to push you. Your crew is supposed to be knowledgeable of any changes in you the minute a change occurs. Else, if you got newbie crews – try asking the others on the road when you are in any doubt over something. Your pacer should know how to position. It’s a push and pull job, guys. May the Lord be with you. You won’t lose if you have faith in Him who can give you the grace to finish what you started. It’s only 13 days to go before the Waldorf Trail Run!! Racekits are now available at Runners Runner, R.O.X., Bonifacio High Street. Here’s the info on the shuttle services going up to Timberland. 1. Centris Mall, Edsa corner Quezon Avenue – meeting place: parking area in front of Shakey’s – Departure time: 4:15 am. Max no. of passengers = 10 pax per van. Total of 20. 2. PureGold, San Mateo – Departure time: 4:30am. Max no. of passengers = 20 pax per bus. Total of 50. *A nominal fee of P50 will be collected. Runners must present their race bibs to the shuttle driver to be allowed on board. No racebib, no ride. Please be on time. Shuttles will not wait for latecomers, even if seats have been reserved. Interested runners may still sign-up for this event. Men’s Health Philippines provides you what you need to kick start your goals this 2013 with an issue packed with useful tips to help you get back in shape and maintain a healthier lifestyle. The January 2013 issue also features the Belly Off All-Stars composed of six men who conquered their respective weight-loss battles and managed to maintain a healthy lifestyle. They share how they worked through their struggles in the battle against the bulge. Included in this group is comedian Bearwin Meily and model Ed Mendez. Readers also get a bonus this month as the issue comes with the Men’s Health Jumpstart Guide. The small booklet contains fitness and nutrition tips on how you can blast fat and eat healthy, yet flavorful meals. The perfect companion to get your fit and healthy 2013 started. Find out more about these and other interesting topics by grabbing the January 2013 issue of Men’s Health with Robin Padilla on the cover. It’s now available at your favorite magazine retailer nationwide. For more of Men’s Health online, like them on Facebook (Facebook.com/menshealthphilippines) or follow then on Twitter (twitter.com/menshealthph). By Ordinary, I mean to refer to the routines of my day. Not just work and quality time with my family, but also of the important points of my exercise – aimed at making myself stronger, fitter and faster. I see no argument in that now. Ordinary = RUN – work – sleep – sometimes run – sometimes miss – work – sleep. ..and the special is something I wish to turn my ordinary days in to. Get it? Thanks. Getting faster though will require extra hard work. Anyways, I’d get there. Soon. 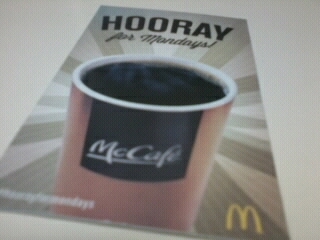 Free Coffee on all my Mondays! Thank you Lord! 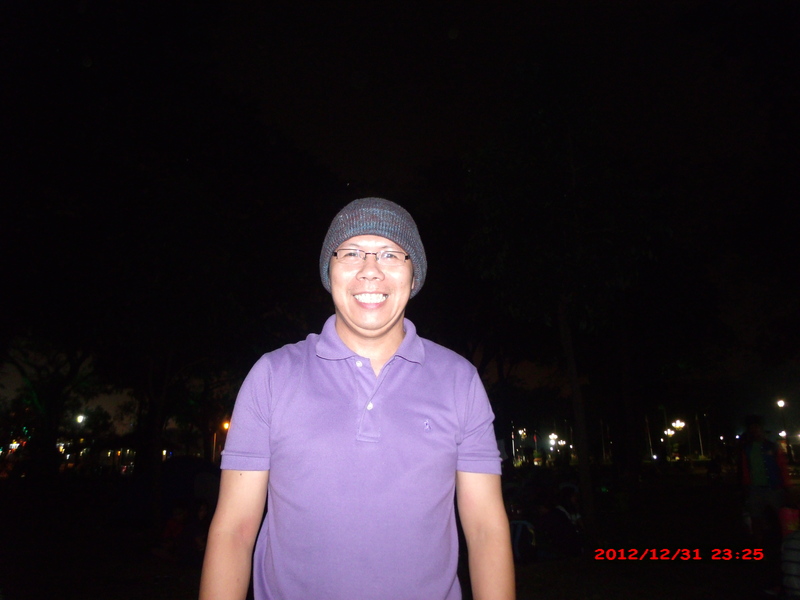 January 6 will mark the start of my regimens. While I am not training for a particular race, I intend to just stay at my racing weight, stick to my 31 inches waist line and keep my body conditioned as if I will be racing every week. Yes, that’s my plan. I pray that the Lord will bless it. …simply because I am so comfortable with it. Socks or no socks! …to welcome everybody to the things and everything this new year has to offer. 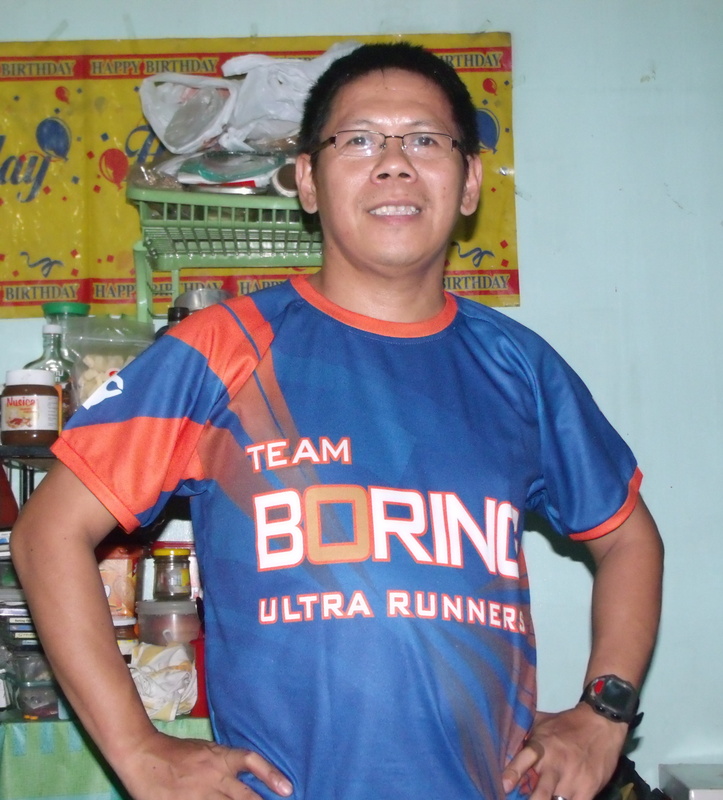 I open with 64 kgs of weight and a fast 3-kilometer run. Looking forward to more of these. 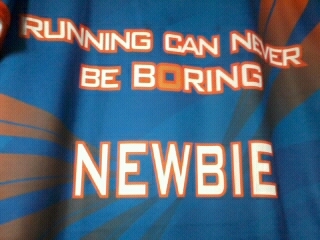 I wore too my new Team Boring shirt. Pictures to follow. Since I am not into making resolutions, I’d rather post a monthy goal. My monthly goals will be posted on a separate blog. May we all accomplish everything we want this year!